Launch your new instructions to the market in style! Launch your new instructions to the market in style! 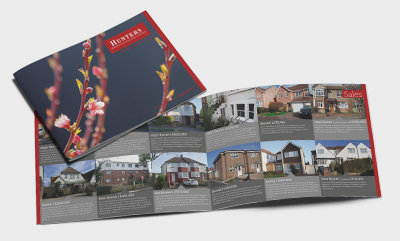 Normally distributed every 6-8 weeks to your core target areas, mini-mags demonstrate you’re marketing property professionally, promotes new instructions and property recently sold and let, and are an effective way of keeping your name to the forefront of your community. First Impressions Count! Corporate brochures are the best way to present your business and to promote the services you offer. 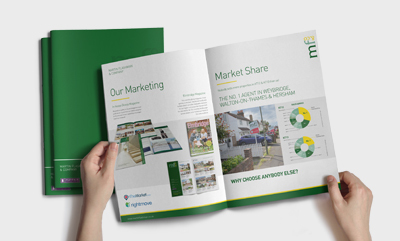 Demonstrate your marketing expertise with a professionally printed, well-designed corporate brochure - an essential valuation tool, influencing a potential vendor’s choice of estate agent. Keep your brand to the forefront of your market. In what is such a very competitive market, our clients have found that canvassing cards are an excellent marketing tool to promote your services. They are always relevant to their current market, seasonal and deliver a positive message – always attracting new business. How regularly should I run a campaign? Many clients run monthly and quarterly mailings. We are happy to discuss your campaigns to suit your business and budget. How quickly can I see a proof of my mailer? We aim to get a bespoke proof to you within 24-48 hours. Can you arrange distribution for me? Yes, no problem. Simply let us know where and when you want your materials delivered and we'll take care of the rest! It's vital to have strong marketing strategies in place. EAM have all the marketing expertise, including an in-house design team who will work with you to create high impact, good quality marketing material in order to promote your business effectively, enabling you to achieve a higher level of instructions and better fees. 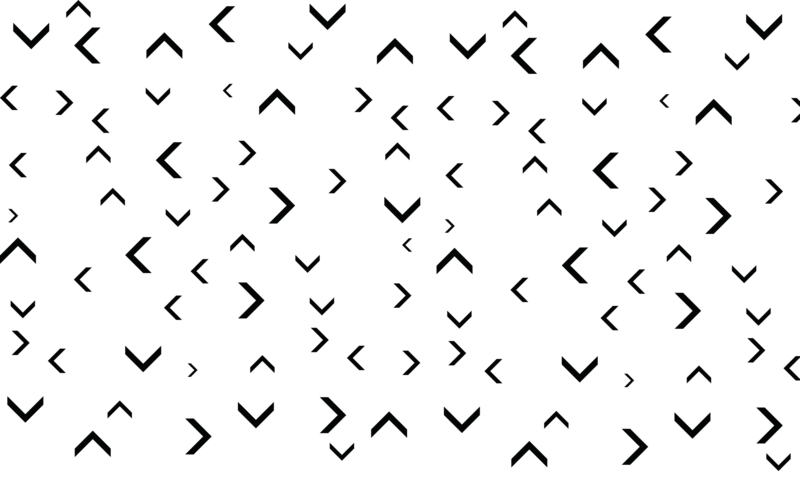 We know that your brand is not just a logo, but an expression of your business's personality and values. We strive to accurately represent your brand in every piece of communication we create, ensuring your customers have faith in your business and that your brand awareness is consistently strengthened. 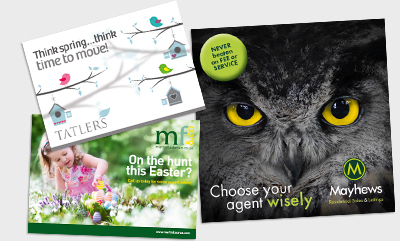 Over the years we have successfully branded or rebranded many Estate Agencies, lifting their presence within the market and future proofing their identities. Our designers have been creating thought-provoking design for Estate Agents' brands for many years and understand how to best communicate our clients message. We know that design is not just about creating an attractive piece of work, but representing the clients brand and increasing their brand awareness.